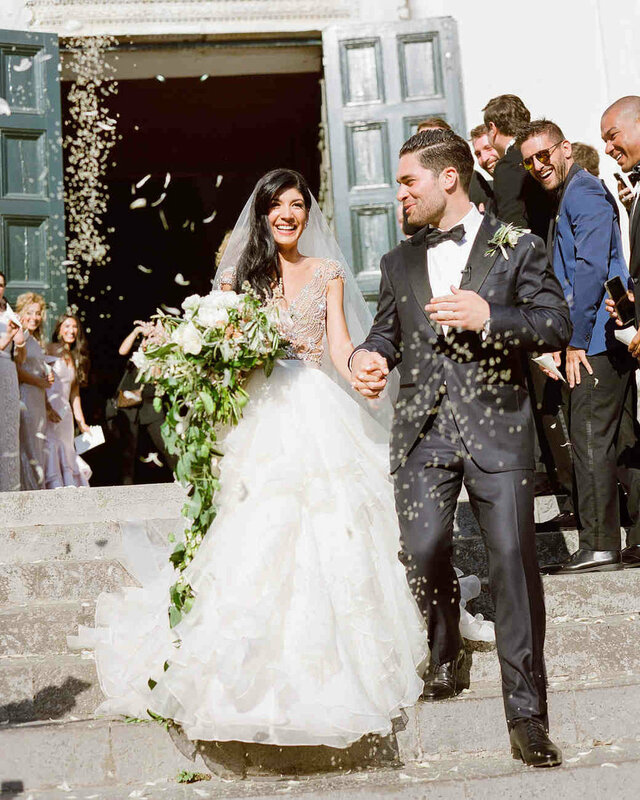 This jaw dropping wedding featured on Martha Stewart Weddings was so stunning you'll hardly believe it was a real wedding and not an editorial! 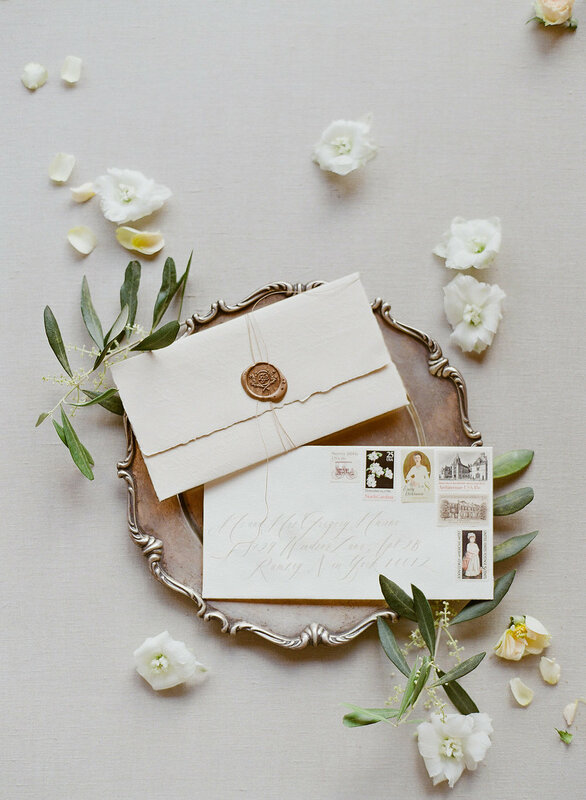 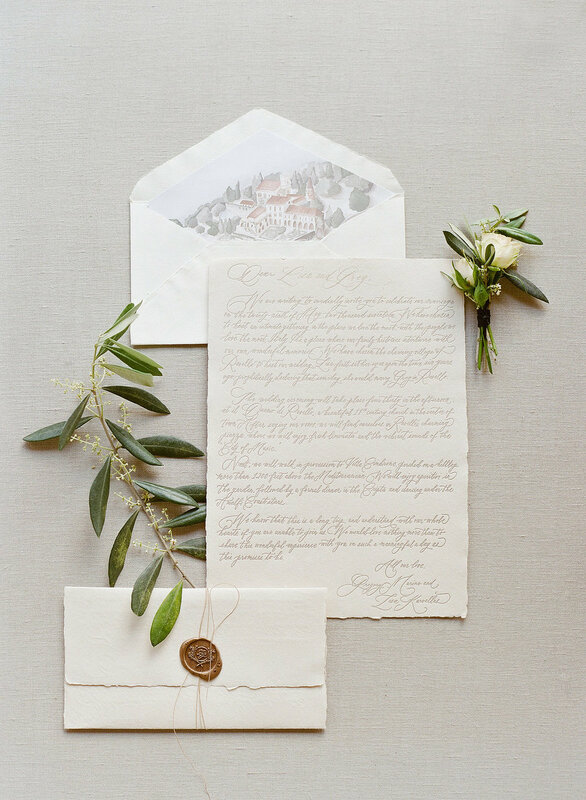 This very personal suite was letterpress on handmade paper with a details booklet tied with a silk ribbon, and all calligraphy reply card, all tied with fine twine and a gold wax seal. 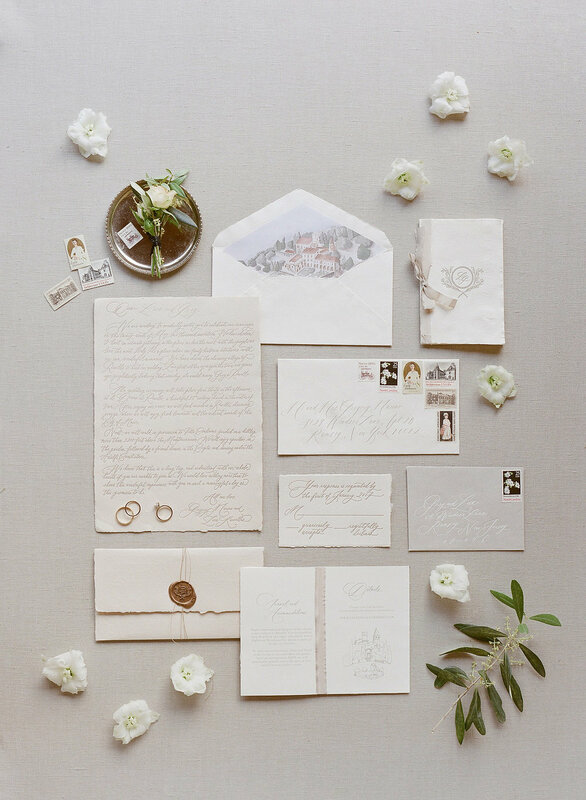 A Tuscan watercolour envelope liner and carefully curated vintage postage complete the vintage Italian look.